No matter how many times I speak somewhere the process is always the same. I barely sleep the night before, my stomach turning, and in the morning I wake up thinking I have nothing to say. No words to share. And that I certainly have no right being the one speaking in front of people. But then I remember my students. Those students who share their truths with me every day about why they are disengaged. Why school is hard. Why they just want to get school over with. And I find my courage. I find my purpose. I don’t speak for me, I speak for them. So when you feel a little overwhelmed. A little like you have no right to be doing what you are doing. A little out of your league, remember this; it is not about being the best, it is not about being the only expert or having it all figured it. 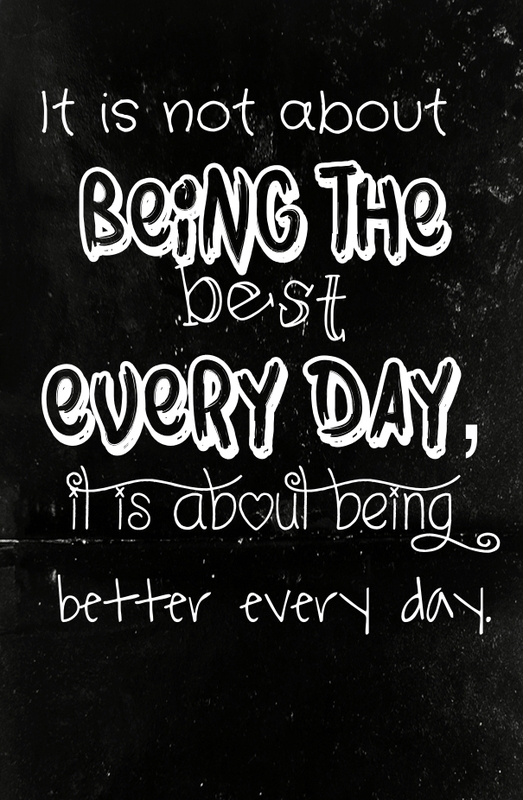 It is about being better. About making a minuscule change every day that will lead to a better place. About finding your own path and following it, overcoming the obstacles that are bound to be there, including the ones you put in front of yourself. My students taught me that. So for them I will be better today than I was yesterday. For them, I will find my courage. For them I will. I needed to hear this today. I am my own worst critic. Sometimes it serves me well, but sometimes I need to sit back, relax, and realize that I am better than I was yesterday. I look to you for many different reasons. Your knowledge, passion, compassion, and empathy for students and teachers. I thank you for sharing your ability to observe and understand the psyche of your fellow teachers. Talk about Serendipity. I am busy working on a brand new career as a Literacy coach. I was feeling so at sea and wondering and doubting myself (despite what my colleagues say) I am just going to go ahead. As always thanks Pernille. This was a great article to start the week. Thank you for sharing your experience and encouragement! Do you have any other tips or ways students and teachers can better support and encourage each other? We’d love your input on building stronger classrooms! HA!! So you are human! FYI… I still think about your talk at nErdCampMI this past summer. I regret not giving you a standing ovation. 🙂 Sometimes I watch it to remind myself of my goals and my mission. I also frequently share it. Been spreading the love that is nErDCamp by helping to organize one on Long Island. I am often challenging myself to step outside my comfort zone! Great Read!